Indian Railways revives the era of steam engines with steam locomotive Azad WP 7200 ready to haul Indian luxury train, Palace on Wheels. The 71-year-old engine has undergone renovation, bringing back its glorious days, while hauling the Palace on Wheels, the pioneer of luxury trains in India. While the luxury train has a number of successful years of operations, the steam engine also has interesting heritage. Built in 1947, the year of Indian Independence, the steam engine was named Azad. The Baldwin Locomotive Works, Philadelphia, USA built the WP 7200. In the presence of senior official of Indian Railways, Mr Ashwani Lohani, Railway Board Chairman flagged off the steam-hauled luxury tourist train. The memorable train ride was from the Safdarjung Station to Patel Nagar on the Ring Railway circuit. Indian Railways operations comprised a number of successful decades. For years’, the bullet-nosed WP locomotives were not just the backbone of broad gauge passenger train operations but the pride of steam locomotives. After operations for a long era, the steam engines were retired from duty in 1995. Later, a dedicated Indian Railways’ team was kept at work renovating the heritage steam engines. Currently at the Railway’s Steam Centre in Rewari, these engines undergo regular repair and maintenance work. 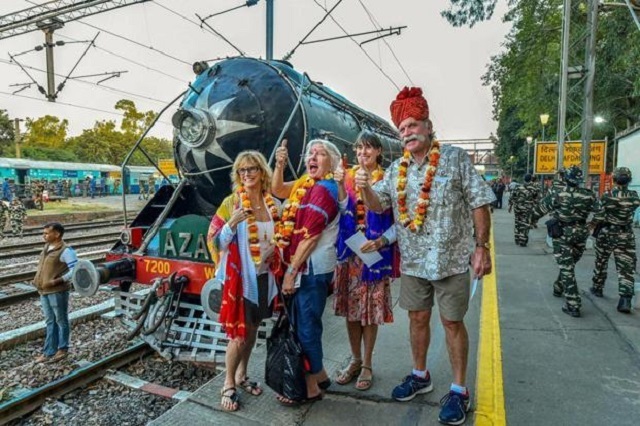 Also, from time to time, The Indian Railways deal with operations of heritage steam trips on the popular tourist circuits in India. 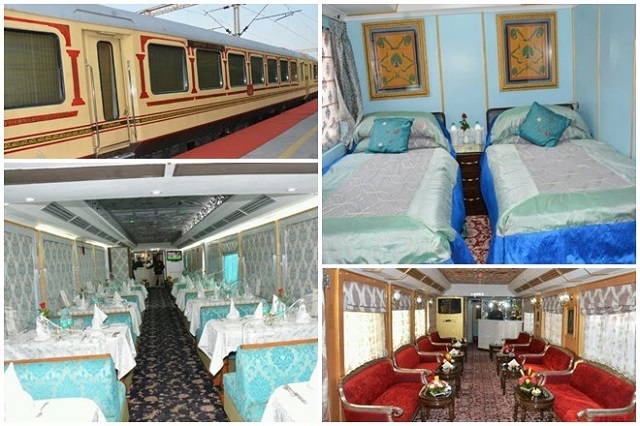 India’s first luxury train, Palace on Wheels has a number of awards to its name for its royal amenities and luxurious train rides. Journeying through the royal state of Rajasthan, the train replicates the feel of royalty. Some lavish features of the train include wall to wall carpeting, regal décor, lavish cabins, two dining cars, a well-stocked bar and also a very personalized service.